Build your short, medium & long term wealth by collecting fine Mint Coins at members only pricing & Bullion at company cost pricing & earn a great income by showing others how to do the same! 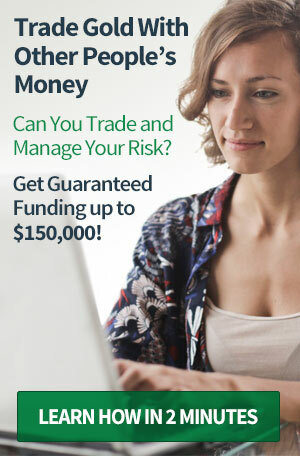 At MintBuilder we have developed a unique and proven method for automating your savings in a way that means your savings are unaffected by the volatility of the world’s financial markets. 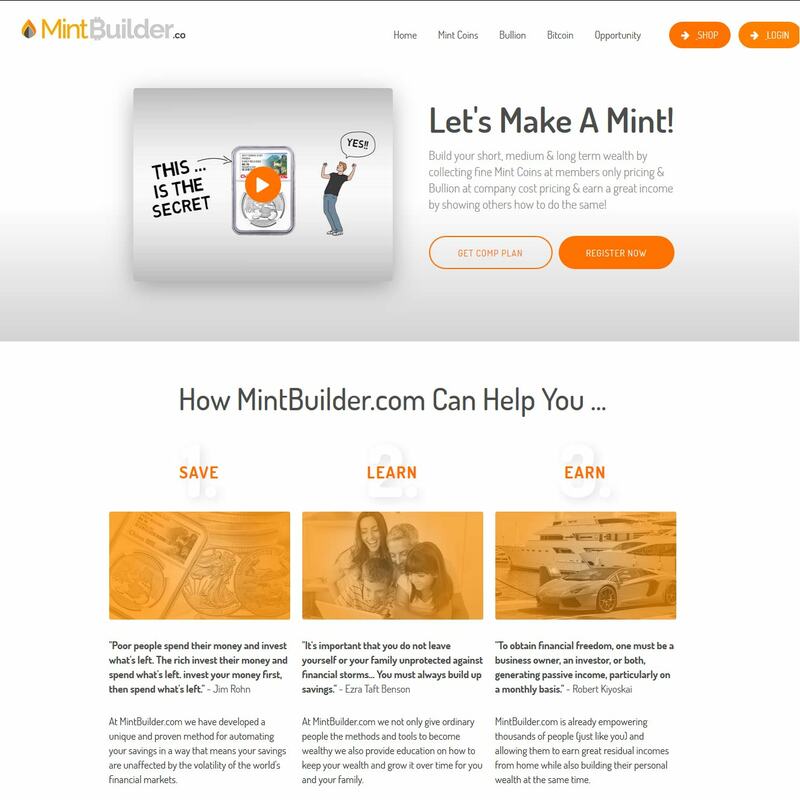 MintBuilder is already empowering thousands of people (just like you) and allowing them to earn great residual incomes from home while also building their personal wealth at the same time. MintBuilder UK originally traded as ISN Modern Coins UK and alongside it’s US-based parent company runs one of precious metals’ largest direct marketing operations – now also incorporating cryptocurrencies into their product mix. 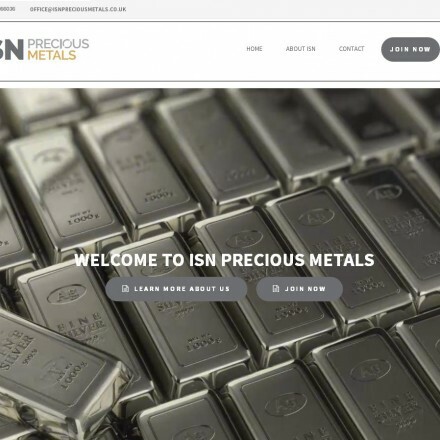 Operating on the network marketing business model, members can choose to buy precious metals at wholesale prices, or promote the company’s products on a commission basis. Due to it’s operating a multi-level tiered system members can earn from people they introduce as well as those their team introduces. MintBuilder UK’s website is split into two main sections, for members and non-members serving two main purposes: retail sales and the MintBuilder opportunity. Non-member sections consist of a retail-priced e-commerce store selling bullion and numismatic coins and a number of brochure-type pages and videos describing the business opporunity. 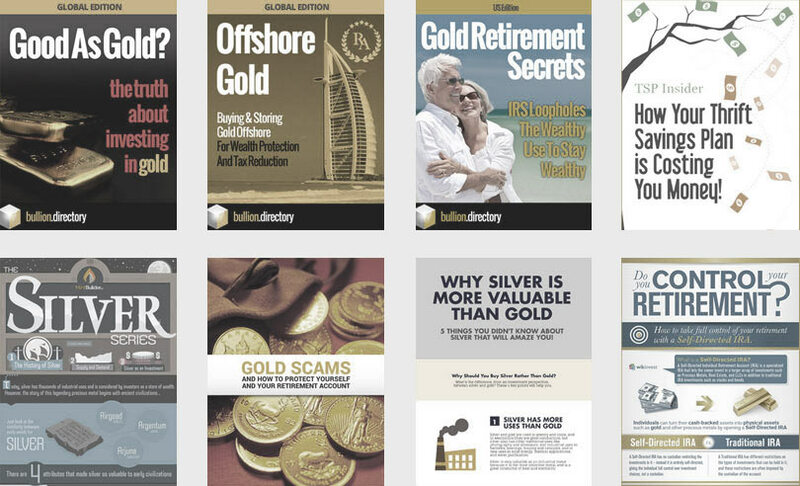 Member sections require an annual subscription to access and offer wholesale-priced bullion and numismatic coins as well as areas designed to help members build their referral business and track commissions. The retail side features good product imagery and detailed product descriptions and the membership program and business opportunity is clearly explained through both video and text with comprehensive plain-English legal documents regarding terms and conditions. 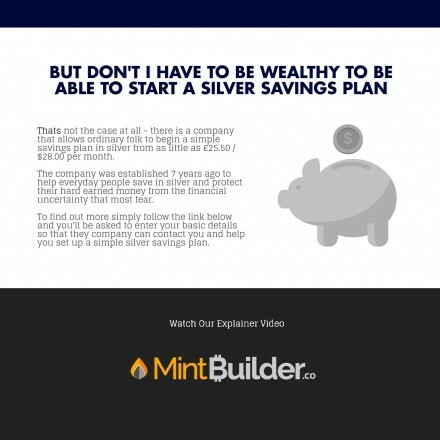 The MintBuilder UK website is an attractive, modern and easy to navigate website with clear well-sized text and an obvious simple navigation. Text is high-contrast black on white or light grey. MintBuilder UK reviews are highly positive with an overall average 4.6-stars across the main review websites. Independent review websites are either very positive of highly critical, with positive sites tending to be affiliates for the program and negative sites being used to promote alternative businesses, also for an affiliate commission. As with any precious metals company running an affiliate program we advise people to be cautious and look for potential conflicts of interest or hidden motives behind reviews either for or against a company. 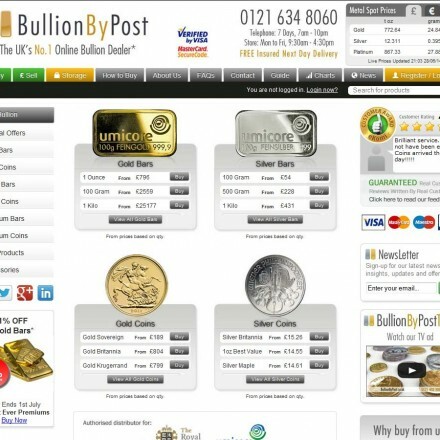 When doing business with MintBuilder UK - please say you saw them in Bullion.Directory. Read or add MintBuilder UK reviews and ratings using the "reviews" tab above. All MintBuilder UK details are believed to be correct at the time of listing. Please report errors here. I was invited to a meeting in London with the guy who seems to run the Mintbuilder UK operation. The room was roasting I think it was the hottest day of the year but Ray kept us enthralled through a really interesting talk with slide presentation. I have signed up to their program which I was able to get on offer to access the low prices he talked about, but I’ve not yet done any promoting. Still a little wary of signing up for autoshipping but will see how it goes. My main interest is silver Britannias which are easily the cheapest available in the UK and I know because I checked everywhere. Am going to attend another talk and see about getting more involved but certainly from a retail buying point of view I can’t fault them.